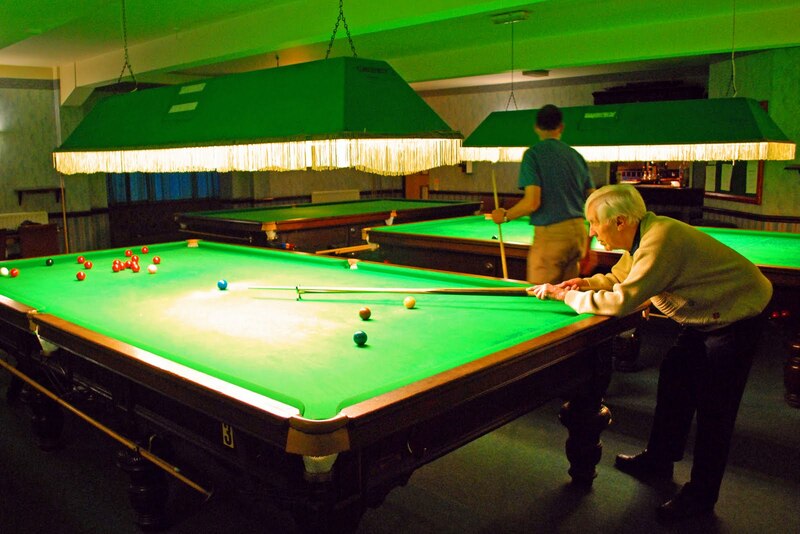 Our club boasts three full sized tables for members' use in a dedicated snooker room. For as little as one penny a minute the tables are available during club opening hours, and also out of hours from noon onwards - with the exception of Sunday and Monday until 4:30 p.m. when the club is closed. During the snooker season the club has three teams whio play weekly in the Knutsford and District Amateur Snooker League. The first team plays in the first division every Thursday night. Both the second and third teams play in the second division, usually played on a Tuesday night, with the occasional fixture on a Thursday night. The acquisition of a few more players would enable the club to run a fourth team. As the current season has only just started why not come along and watch. There's a competitive game every Tuesday night starting at 8:00 p.m. and also on Thursday's when the first team play at home. Alternatively if you fancy becoming a member of any of the teams, registration is allowed throughout the season - just speak to one of the captains and they will arrange for you to play at a level you will enjoy. However, if competitive snooker is not your cup of tea, then playing a social game of snooker is as simple as putting your name on the board, or mentioning your interest to the steward, who'll soon find you a partner.